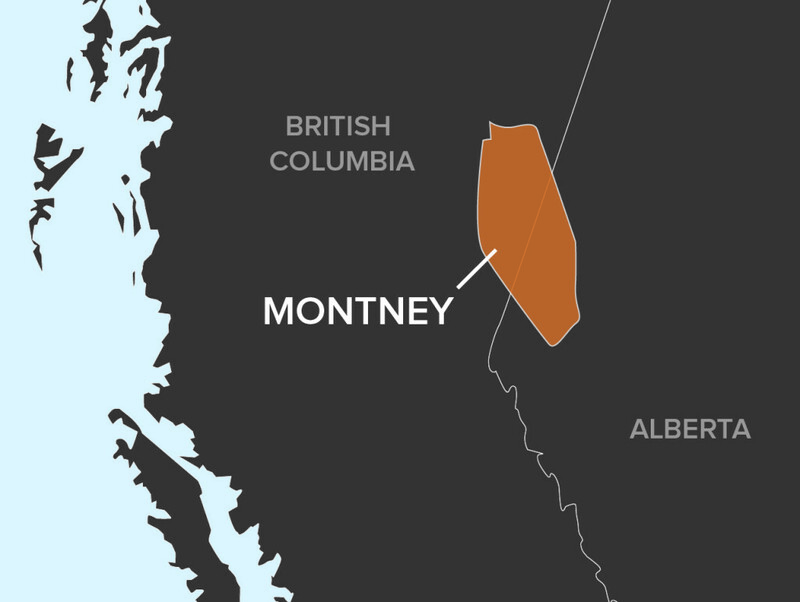 The Montney resource play covers 246,000 square kilometres from west-central Alberta into northeastern British Columbia. Since 2008, there have been more than 3,200 horizontal wells completed in the formation. Completion methods in the Montney have evolved to allow for shorter stage spacing, higher stage counts, and greater amounts of fluid and proppant. 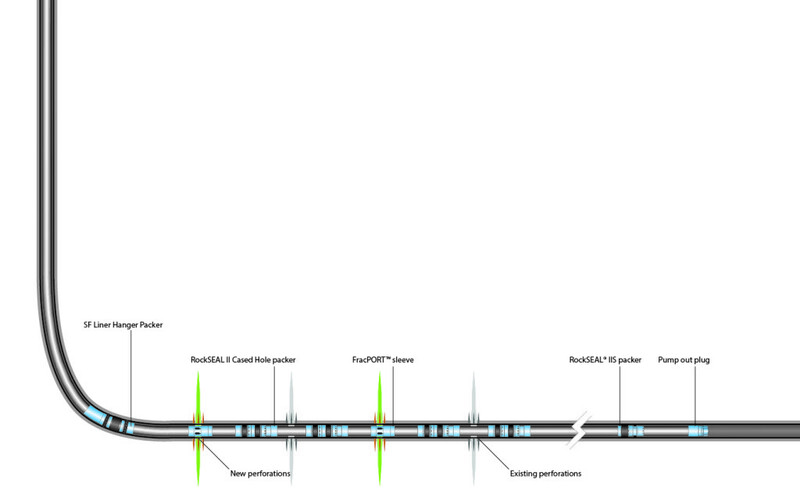 This evolution of completion techniques has left a large inventory of wells with under-stimulated reservoirs when compared to the current completion methods. An operator working in the Septimus field of the Montney wanted to increase production from an existing horizontal well originally completed in November 2009. One month following the initial 5-stage cemented liner plug-and-perf stimulation, the well reached peak production with a monthly volume of 2,779 BOE. In an effort to increase the stimulated reservoir volume, the operator wanted a refracturing system capable of delivering a slickwater stimulation treatment. In May 2013, the operator chose to run Packers Plus StackFRAC® HD Slimhole system, which is specially designed for applications that require a smaller liner outside diameter, such as re-entry into existing wells. Before running the 10-stage system, 5 additional sets of perforations were added to the original 5-stage well. Nearly four years after the original completion, the well was successfully stimulated and resulted in a production increase of 299%. Figure 1 shows the 5-month pre-stimulation and post-stimulation average monthly BOE production rates. To achieve these results, the operator pumped an average of 70 tonnes of proppant per stage and 1,050 kg/m3 of fluid at a maximum rate of 9.5 m3 per minute. Effective restimulation requires a full completion system that can deliver proppant volumes at pump rates consistent with today’s stimulation operation. Providing full coverage in a horizontal wellbore, the StackFRAC HD Slimhole system can reduce operational risk while effectively restimulating a well and establishing maximum connectivity with the reservoir.